You’ve done it. You’ve taken the plunge and purchased that residence that you have all your Pinterest dreams ready to go. Let’s do this! Only to have your dreams dashed during demolition when the dreaded word asbestos and abatement are uttered by the contractor. The greater Atlanta area is filled with charming turn of the century homes that attract folks like yourself to the area to purchase and remodel. The only problem is that they are also teaming with asbestos. Considered a miracle product of the construction boom in the 1800s up until the late 1970s, asbestos was ubiquitously used as a building product because it did not burn. The only problem is that, while it does not burn, it causes cancer and is now an illegal substance to use when building. Testing for asbestos and the abatement process should always be handled by a professional asbestos abatement company in Atlanta. Do I Need To Hire An Asbestos Abatement Company In Atlanta? Is Asbestos That Bad? Yes, it is that bad. Asbestos is known to cause cancer such as Mesothelioma, and a plethora of other health related issues if not handled quickly and correctly. Asbestos can release particles into the air that you will neither see nor taste, making it doubly dangerous to those that are not trained in asbestos identification, assessment, abatement, and removal. No. No YouTube tutorial can prepare you for the process and removal of asbestos. Best to let our contractors that specialize in asbestos abatement removal handle the process for you; this is a dangerous material that is not, nor ever should be, DIY’d. 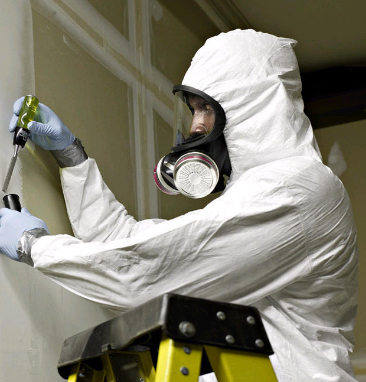 Asbestos abatement is something you need to call in the professionals for. 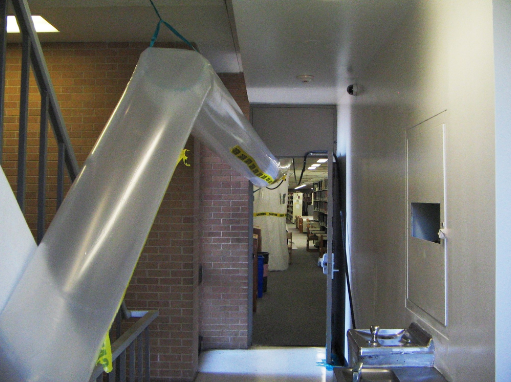 So, now that you’ve received the dreaded news of asbestos abatement, what is your next step? 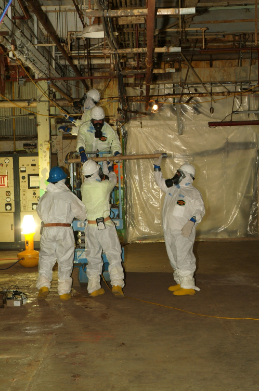 Our Atlanta Asbestos Abatement services will see you through the entire process. Once you suspect you have asbestos in your home, you need to call the experts- fast. We are one of the top asbestos abatement companies in Atlanta. Our services will determine the kind of asbestos that you have present in your residence, and the next steps to take. We will complete a thorough check of the entire property. Searching for asbestos that can be hidden in pipes, insulation, and in ducting, will be handled by the top professional asbestos abatement contractors to test, determine, and estimate the amount of asbestos that needs to be removed. 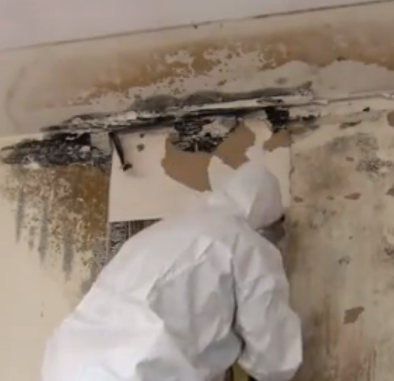 In the demolition and removal process, it is common for mold to be found as well; Atlanta Demolition can handle mold remediation and removal right alongside with your asbestos removal. We are happy to provide you with detailed reports, process, and provide you with a clean, safe residence for you and your family. Commercial properties that were built in the 1800-1970s range are also riddled with asbestos materials. You’ve spent all your time picking the perfect building, the prime location, secured investment in your commercial property, and are ready to demolish and remodel the commercial building into the perfect space for your business and customers. Atlanta is a prime location for commercial properties. Steeped in iconic buildings and a thriving commerce, Atlanta has become a beacon for new business. You’ve spent months and months researching the picture-perfect building, attained permits, and now you are ready. The first hit with the sledgehammer uncovers asbestos. All the sudden you’ve gone from budding entrepreneur to facing a nightmare material. Atlanta Demolition Services has been known as the premier asbestos removal company that handles commercial asbestos removal in Atlanta, Georgia. Once you suspect asbestos, our contractors, specialized in asbestos abatement, will come out for an initial assessment. Contact us immediately if you suspect asbestos is present in your building; let us handle the dirty work of identifying the asbestos without potentially releasing the maniacal molecules and particles into the air. We aim to complete your assessment and abatement in the fastest time that is possible, depending on the amount of asbestos president in the commercial property. Asbestos is a deadly material, and Atlanta Demolition Services will complete a thorough assessment and estimate on your commercial property. It is imperative that the asbestos that is present in the property is removed and properly disposed of. Disposal of asbestos is just one of the many specializations that we can handle for you. The vast Atlanta area is home to some of the most beautiful commercial properties. Unfortunately, asbestos was used as a wonder product and used in almost every building material in modern times, before it was declared illegal initially in the 1970's. That means that most of the buildings you have your eye on, with the character and charm of the Old South, most likely have asbestos present in the walls, in the plumbing, and in the duct work. 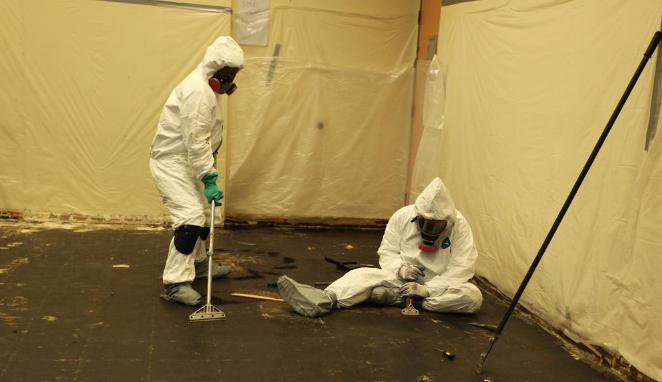 Atlanta Demolition Services is one of the top asbestos removal companies in Atlanta. 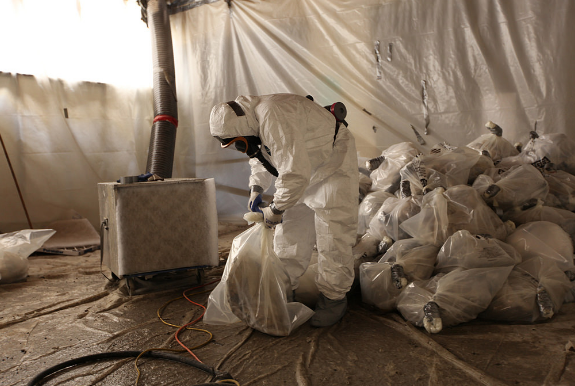 We specialize in the commercial asbestos removal and are one of the most sought-after asbestos companies around. When you receive the dreaded news that you have asbestos, Atlanta Demolition Services is the best company to handle your estimate, abatement, and removal of the nasty material. Residential and commercial properties in our historic town of Atlanta are well known for their architecture and history. Asbestos is not something to that will get in the way of continuing your remodel, or continuing to build your dream business. Atlanta Demolition Services specializes in assessing, estimating, and completing the removal of asbestos. Since asbestos was used so ubiquitously throughout several centuries, our professionals know exactly how and where asbestos was used as a building material. That means that we know where to look for asbestos, taking the guess work out of your hands. Don’t allow asbestos to kill your dreams. Let us kill all the asbestos in Atlanta!